Ethnographic studies and archaeological records indicate that from prehistoric times brewing beer and other types of alcohol was primary an activity performed by women. 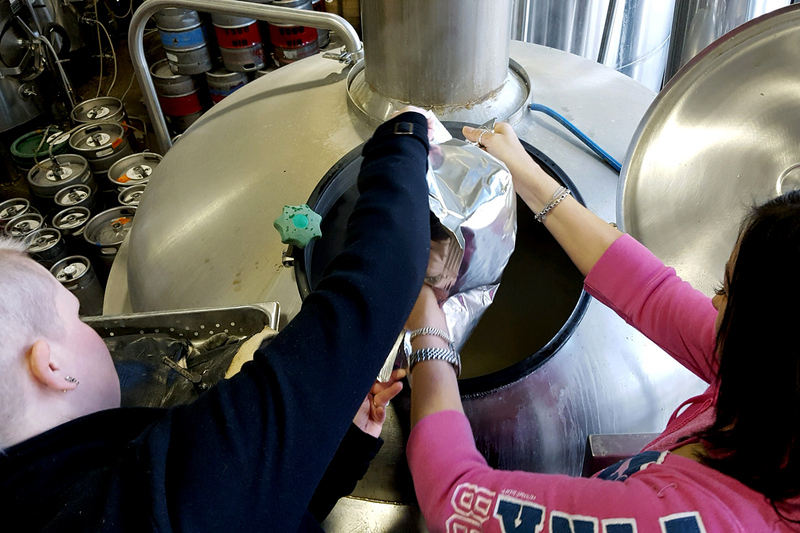 Although during the modern era the industry has been primarily a man’s domain, in the 21st century women are once again a significant and growing segment of the brewing industry. 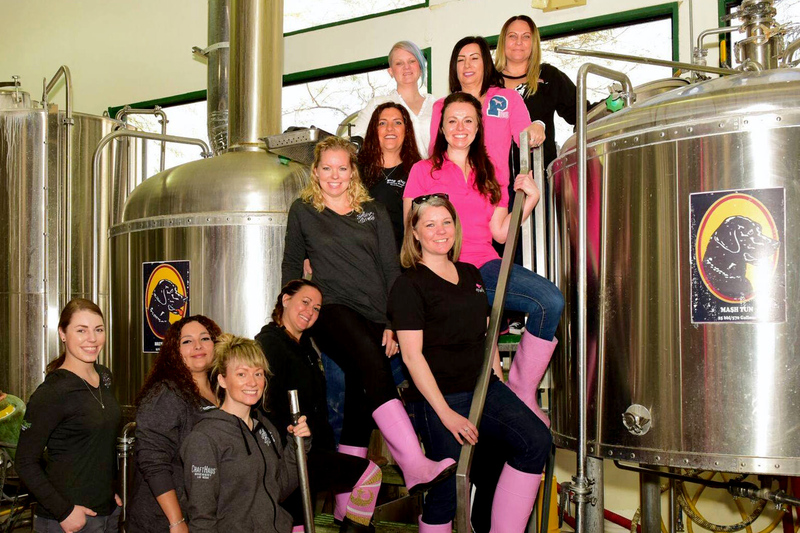 Evidence of this can be found through an organization comprised of women working in the beer business known as the Pink Boots Society (PBS). 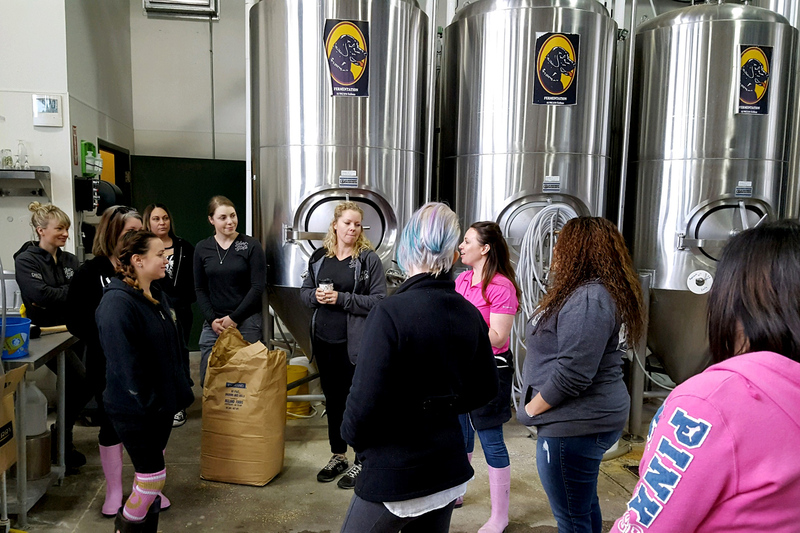 Founded in 2007, goals of the non-profit organization with 1,500-plus members worldwide are to raise the profile of women’s roles in the beer industry and to assist, inspire and encourage women to advance their careers through education. This year’s participants included PBS members Amanda Koeller (lead brewer, Big Dog’s Brewing), Steph Cope (head brewer, CraftHaus Brewery), Wyndee Forrest (co-founder/co-owner, CraftHaus Brewery), Ceci Moggia (marketing and accounting, Big Dog’s Brewing), Kayla Callahan (operations manager, Joseph James Brewing), Chelsea Anderson (beer tender and brand manager, CraftHaus Brewery), Nikki Borkosky (bartender, Hop Nuts Brewing) and Ashlie Randolph (Caribbean Craft Owner); and future members, all from Big Dog’s: Nancy Nordstrom (bartender), Sarah Novack (server), Jessica Kuhn (bartender) and Sheila Lombard (bartender). 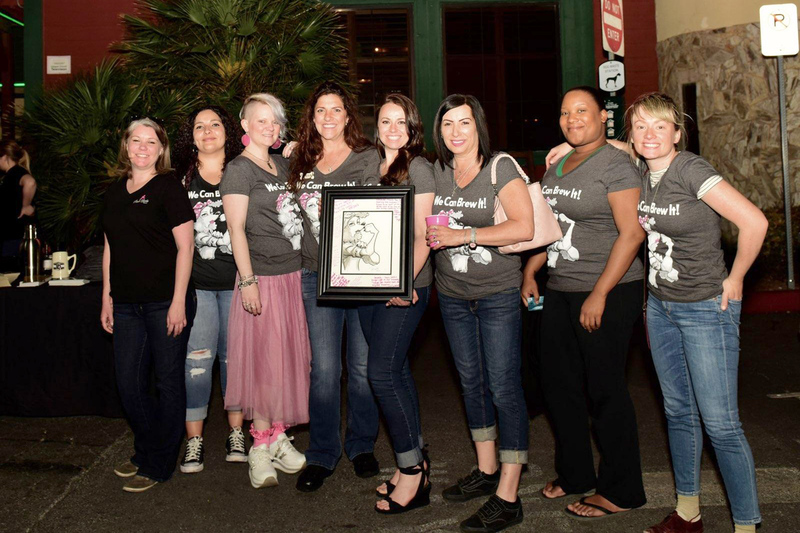 Luckily for men, all are welcome to enjoy G-IRL Power, which currently is on tap at more than 14 breweries and pubs in Southern Nevada including 595 Craft & Kitchen, Aces and Ales, Atomic Liquors, Big Dog’s, CraftHaus, Hi Scores, Hop Nuts Brewing, Khoury’s Fine Wine & Spirits and Tenaya Creek Brewery. Head over to one of these popular watering holes soon before the tap runs dry.